Thanks for all who joined us at Wittonga Park for the 2019 Teams announcement and guernsey presentations. Roy's teams will be selected closer to their May start. The season dates for AFL Juniors are below. Usually, Rounds 1 & 2 are released before the season and the rest comes in about Round 3. The best way to keep up to date with the season is via the GameDay website and/or app (available for both Android and iOS devices - instructions here). We will let you know how to find our teams and their fixtures once the AFLQ has informed us. Please note, while most games are held on Saturday mornings, Friday evening and Sunday morning games can also be scheduled. Keep an eye on that app! Registration is for both new and returning players of The Gap Dragons JAFC. as well as running Auskick in Term 1. If you missed our SIGN ON DAY then you can register right here! 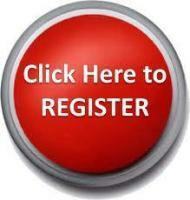 Click on the BIG RED BUTTON to begin your registration. For Auskick and Roy's Junior Footy Program, scroll down to your section. At the bottom you'll find all the eligibility dates for each age group. AUSKICK 2019 RUNS SUNDAY, MARCH 3 - SUNDAY MAY 5 (with a break). 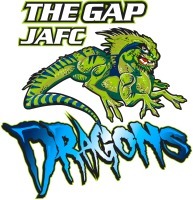 The Gap Dragons run Auskick in the pre-season (February and March). Auskick is our introductory program of fun, games based learning. Each player recieves a great pack of footy goodies from AFL QLD including their very own kid-sized footy! For more information on Auskick, go to our Auskick page or AFL QLD has information on their page through this link. If you have any questions please call our President, Richard Nancarrow (0474 595 038). Location (Auskick only) : Wittonga Park, Hilder Road, The Gap (opposite Hilder Road State School). To register for Auskick, click here. ROY'S FOOTY IN 2019 - REGISTER NOW! Registration into Roy's Junior Footy Program IS OPEN NOW but is only open to children who have participated in either the Term 1 Auskick Program (see above) or another Auskick program. Click this link to be taken to the registration page. From the dropdown menu, choose THE GAP JAFC - ROY'S FOOTY and your details will be sent to us. We'll do the rest. All new players need to provide a copy of a proof of age document (birth certificate, birth certificate extract, passport). A photo of the proof of age document can be taken using a smartphone and then the registration can be completed on the phone, with the photo being uploaded during the process. New registrations will not be complete until the proof of age document has been provided. Returning players will need to use their login details from last year to complete this year's registration. It is usually your email address plus a password that you chose. There is a 'forgot password?' function on the registration site if needed. If you have any questions or are having difficulty please feel free to contact us via our email thegapjuniors@aflbj.com and we'll be in touch shortly to assist. When players first join The Gap Dragons they will receive a free club polo shirt. At the end of the season, all players will also receive a trophy at our special Presentation Day. And each game, the players wear one of our special Players Guernseys, emblazoned with our fearsome dragon. We wear it proundly each time we play. Meat at Billy’s strives to be what the old neighbourhood butcher shop used to be - a friendly place with top quality products. Get the AFL GameDay App to follow your team, see their schedule and find the ground they're playing on each week. Celebrate our 10th year with a sticker on your vehicle. Every registered family gets one FREE. Grab yours from the Canteen at home games or training. Our Home ground is at The Gap State High School, 1020 Waterworks Road, The Gap. Use the Main entrance off Waterworks Road (closest driveway to Thew Gap Village shopping centre). Follow the road on the left hand side down to the oval. There is no direct access to the Oval via the second entrance near the church. Parking is available next to the playgound, near the clubhouse and further in up the hill, past the Oval. Toilets are situated behind the clubhouse (seperate building). The canteen will be open for Home Games selling coffee, hot pies, cold drinks, chips and treats.